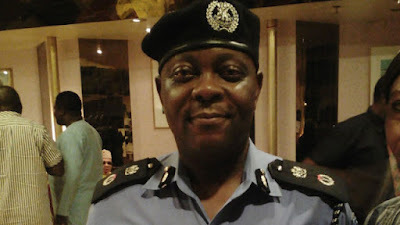 A man, Muyideen Fatai, who pretends to be a lunatic, has been arrested after he allegedly abducted one Aishat Tunde, aged 11, tied her mouth and was taking her to an unidentified destination before she was rescued at Total filling station on Ijanikin Road, Ijanikin area of Lagos State. The suspect was said to have accosted the victim on the way. However, residents who saw what happened, apprehended him, rescued the victim and handed both of them over to the police for investigation. Meanwhile, the Ijanikin Police Division said the suspect disguised as a mad man but that did not compel the police to free him. They transferred the case to the Anti-Kidnapping department for further interrogation. The Commissioner of Police, Mr. Imohimi Edgal, confirmed the incident. He said on July 17, 2018, father of the victim, Mr. Tunde Kamoru, 43, testified at the Ijanikin police station that the suspect who had no permanent address subdued the mouth of her daughter with a veil in an attempt to abduct her. Edgal said due to intense interrogation, the suspect who had earlier pretended to be out of his mind, stated that he like the victim and was only trying to take her home to feed her. The police boss said that investigation is still on going and the suspect will be charged to court.